What is an IME or an Independent Medical Examination? Do I need to go? What is an IME or an Independent Medical Examination? Do I have to go to an IME or an Independent Medical Examination? Your medical condition and symptoms are unrelated to the accident or work injury. Regardless of which one of the two possible opinions outlined above are provided by the insurance company’s doctor, the insurance company will use the doctor’s report to challenge you and/or your doctor’s opinion regarding the nature of and/or the extent of the injuries you sustained from the wreck or work injury. If you have been asked by an insurance company to submit to an examination by one of its doctors, the insurance company is probably getting ready to fight your claim or end your benefits. Call our office for a free consultation to discuss your rights and responsibilities associated with the requested examination so we can help protect you. I already went to an IME without talking to a lawyer; what should I do? 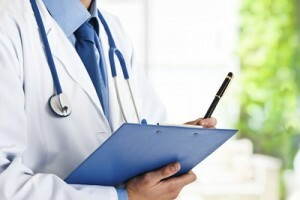 If you have already undergone an examination at the request of the insurance carrier and the insurance company’s doctor has provided one of the opinions above, know that the insurance company will soon be taking action against you to stop or reduce benefits or monies that you may be entitled to. Do not wait until the benefits have stopped; contact our office today to learn what we can do to fight insurance company’s tactics. Who is the Best Lawyer in Erie, PA?